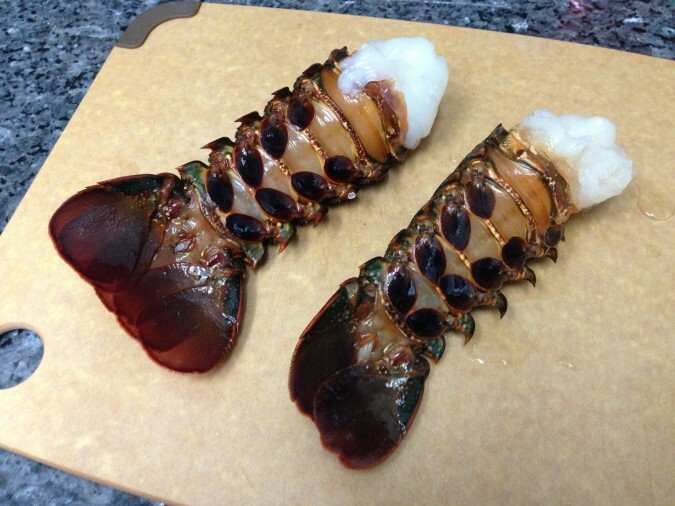 Normally when I cook lobster tail I like to use the two heat cooking method where I first steam the tails then I finish them off in the oven. 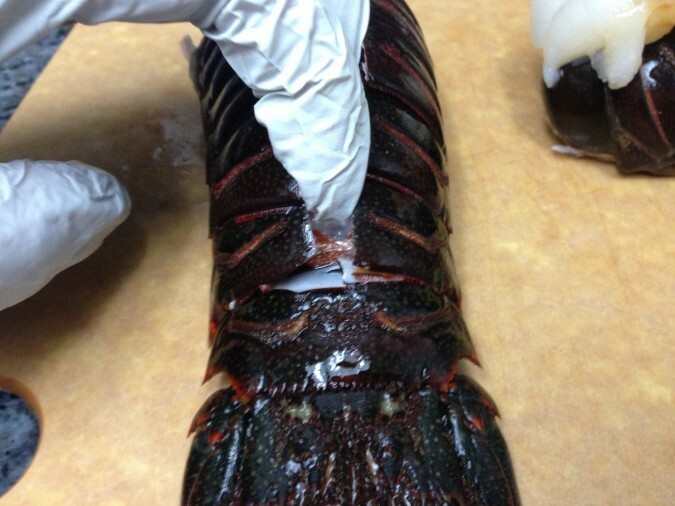 However, today I wanted to show you guys how to prepare a lobster tail by just steaming it and making them come out perfect like at a fine dining restaurant. 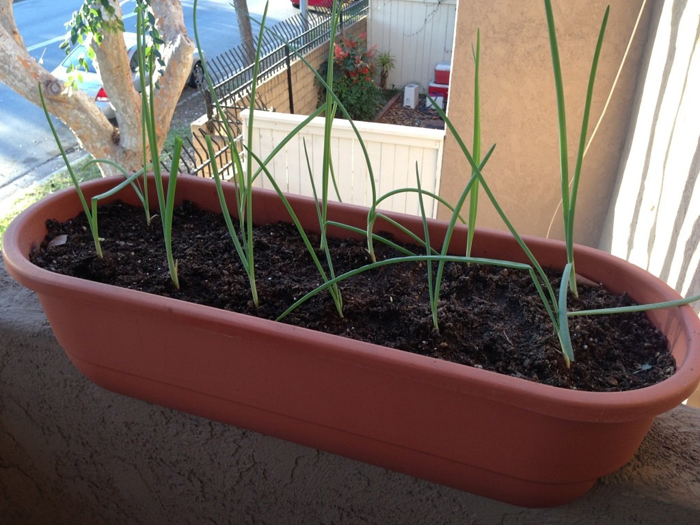 This method is actually very easy, it just looks tricky so just follow along closely. 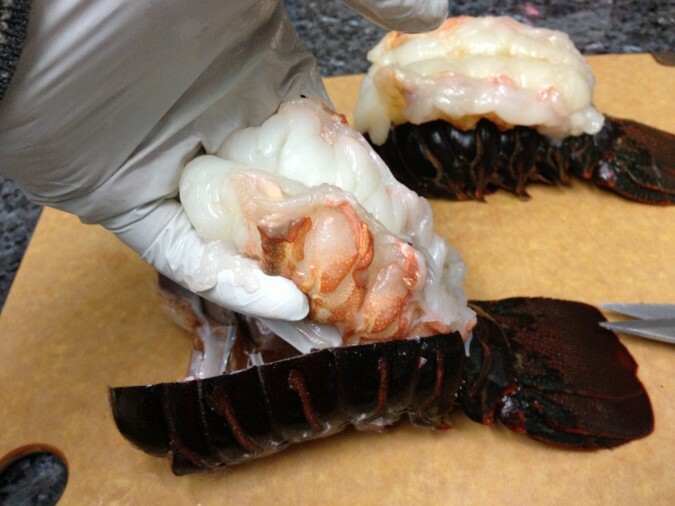 The first thing you want to do is cut down the back of the lobster tail from the thick end (where the body was) down to the tail end using a pair of sharp kitchen shears. 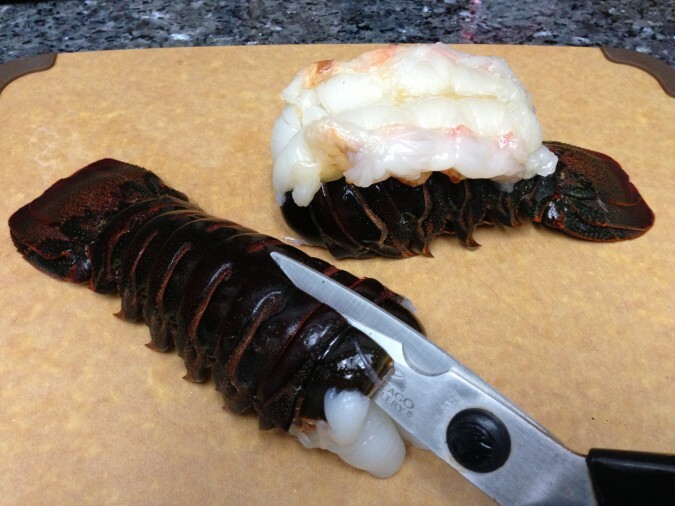 Do not be surprised if you hear loud cracking from the shell, just make sure you keep your shears tight to the shell so you do not cut through too much of the actual lobster meat. On the back of the tail you will see plates of shell, cut until you reach the last plate where the meat ends and the tail fin begins. 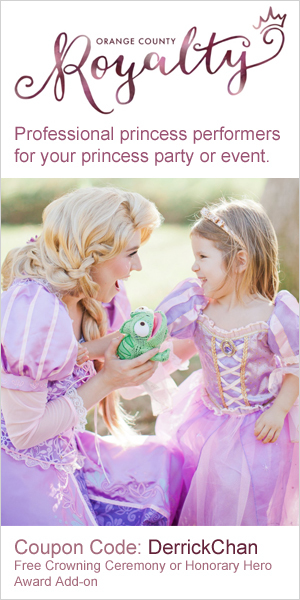 Now cut two small horizontal cuts at the end of the tail so your cut forms a “T” shape. 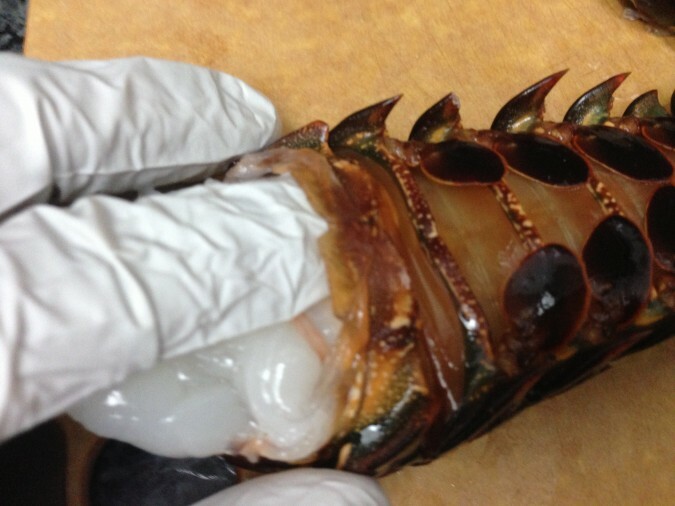 This will allow you to lift the tail out of the shell and let the tail lay on top of the shell. It sounds difficult but it isn’t, just make the tail shell look like the image above. Now the hardest part of this process is carefully removing the tail meat from the bottom of the tail shell. Flip the tail over and carefully separate the tail meat from the bottom of the shell. 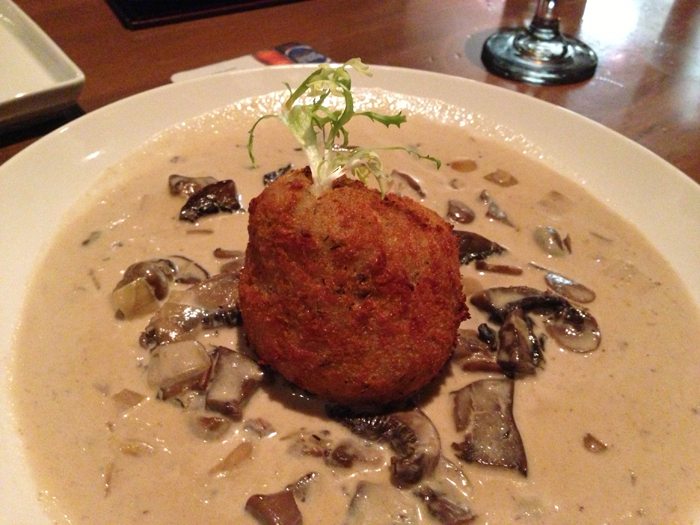 Do not pull the meat out, use your fingers and carefully wedge your way in between the meat and the shell. Once most of the tail meat is free you will be able to lift the tail meat out of the shell but do not pull the meat out of the tail fin. You just want to lift the tail meat out of the shell so you can fold the shell back into place and lay the meat on top of the shell (like the tail in the background from the image above). 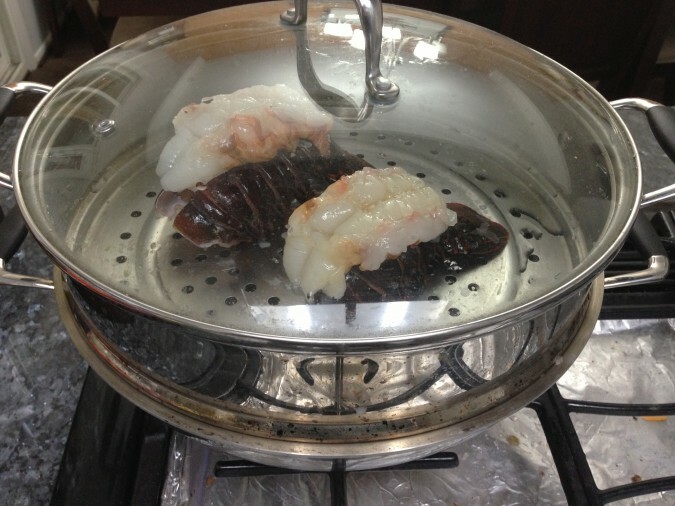 Bring a steamer to a boil and using a basting brush, coat the lobster tail with some olive oil. You can use butter if you want but I like to dip my lobster in butter as I eat it so I use olive oil to add an extra layer of flavor. Steam your tails for 9 minutes then immediately remove the tails from the steamer and let them rest on a plate or cooling rack (keep the tail on the shell). 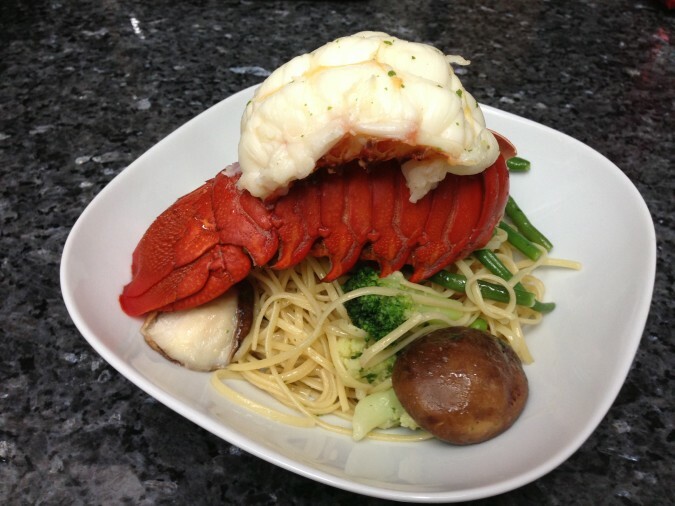 I served my lobster tail on some simple Shiitake mushroom butter pasta with steamed vegetables. At the end I painted a coat of melted butter onto the tail with some fresh chopped parley.